Prize: Enter and win up to 13,597 worth of tools A total of 35,000 prizes await you all, so enter now to win! Tailored for ecommerce businesses. Tools like: Ahrefs, Customer.io, SE Ranking, Awario, Sanebox, Mangools, and 30 other top brands. What you must do to enter: Enter the giveaway through Gleam! 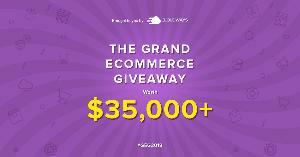 Keep on adding entries and increase your chances of sweeping the giveaway. The more points you have, the more chances you get. Statistics: This contest was opened by 139 and entered by 13 ContestChest.com members. 9% of those who opened the contest, entered it.